At Instant Urgent Care, we want to keep you in the loop about important public health updates prevalent to Santa Clara county and California as a whole. Each season, we aim to provide you with the latest public health updates relevant to residents around Santa Clara. 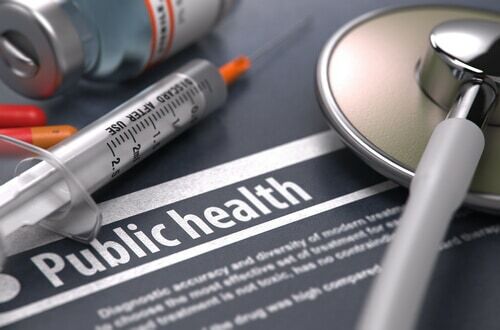 Healthcare risks, diseases, and illness prevalence can dramatically chance over the span of a month as seasonal illnesses, injuries, and other ailments become more or less apparent in local communities. Local news outlets such as the San Jose Spotlight reported that the Robert Wood Johnson Foundation (RWJF) rated Santa Clara county as the third best in public health across California. The data released by RWJF reflected various public health factors for each California county such as healthy behaviors, clinical care, medical access, education, family support, and socioeconomic factors. Ultimately, Santa Clara was found to be one of the healthiest areas in the state only behind San Mateo (1) and Marin County (2). The major takeaways of the report suggests that not only is the county filled with comprehensive healthcare services for all patients but also residents are more proactive when it comes to maintaining their health. An international traveler to Santa Clara county was believed to be a carrier of measles which led public health officials to put his travel itinerary on notice for individuals susceptible to the disease. Local media groups including Patch.com outlets explain that the Santa Clara County Department of Public Health warned individuals about the traveler and posted an itinerary of his trip (available in the link above). Local officials advise unvaccinated children and families to avoid these places for the time being. The number of measles cases during the first three months of 2019 have already eclipsed the total number of cases in 2018, according to national news organizations and the Centers for Disease Control (CDC). Since January of 2019, more than 387 measles cases have been reported across the U.S in six different states. Many public health officials explained that a greater number of parents are neglecting to vaccinate their children, which has led to spikes in measles cases within local communities. Parents are advised to review their child’s vaccination history if they are unsure about when to get or update MMR vaccines. An MMR vaccine is the predominant tool that helps young children become immune to measles.